Kit includes: molded foam case, zippered mesh pocket with microfiber lens cloth cleaner, mini tripod and carabineer. 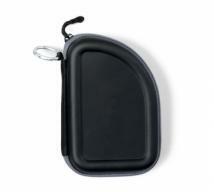 Molded foam protective case holds your digital camera (not included) and tripod securely in place. Mesh pocket for storing memory cards and batteries (batteries not included) Skid-resistant back to help steady the tripod for photos Materials: EVA molded foam Product Dimensions: 5"L x 7.25"H x 1.75"W Imprint Dimensions: Spine bottom front panel center 3"W x 1.5"H Spine left front panel center 1.5"W x 3"H Shipping Information: Carton Size: 21"L x 6"H x 18"W Quantity: 22 Weight: 15 lbs. 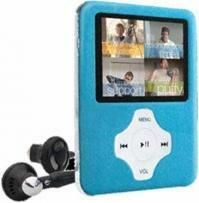 4-in-1 Music Player, Photo Viewer, Video Player, & Voice Recorder Bright 1.8 inch TFT LCD Screen Built in FM Radio Plug & Play Slim 1/4 inch thick body Read Song lyrics while listening to music Continuous Play Time: 3-5 hours Video format: AMV, AVI, MPEG, WMV Audio format: MP3, WMA (w/o DRM). Material: Anodized Aluminum. Qty/Box: 50 ShipWeight: 25lbs. 5-in-1 Digital Camera, Music Player, Photo Viewer, Video Player, & Voice Recorder Bright 2.4 inch TFT LCD Screen Built in FM Radio Plug & Play Slim 1/2 inch thick body Compact design to fit in any pocket for easy travel 2x Digital Zoom Expandable Memory: SD Card Slot Photo Resolution: 1.3 Mega Pixel. Size: 2L" x 7/16W" x 4H". Imprint: Front: 1W" x 1/8H" Back: 7/8W" x 3/4H". Qty/Box: 40 ShipWeight: 25lbs. 5-in-1 Digital Camera, Music Player, Photo Viewer, Video Player, & Voice Recorder Bright 2.4 inch TFT LCD Screen Built in FM Radio Plug & Play Slim 1/2 inch thick body Compact design to fit in any pocket for easy travel 2x Digital Zoom Expandable Memory: SD Card Slot Photo Resolution: 1.3 MegaPixel. Material: Anodized Aluminum. Size: 2L" x 7/16W" x 4H". Imprint: Front: 1W" x 1/8H" Back: 7/8W" x 3/4H". Qty/Box: 50 ShipWeight: 25lbs. 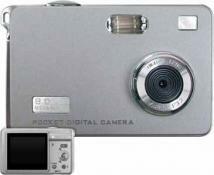 DISCONTINUED: 5.0 Mega Pixel Digital and Video Camera! 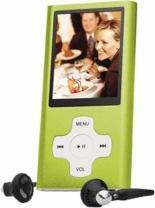 2\" LCD Viewer Records Video Comes with 1GB SD memory. MOQ: 100 Accessories: Pouch, Wall Charger, Rechargeable Battery, USB Cable, Software CD and Manual. Materials & Finish: ABS Plastic & Aluminum. 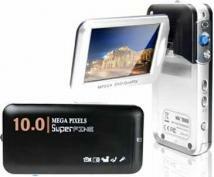 8.0 Mega Pixel Digital and Video Camera! 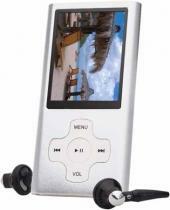 2" LCD Viewer Records Video Comes with 1GB SD memory. MOQ: 100 Accessories: Pouch, Wall Charger, USB Cable, Rechargeable Battery, Software CD and Manual. Materials & Finish: ABS Plastic & Aluminum. 10 Mega Pixel resolution! High Definition Photos and Videos 2.4" LCD Viewer 3X Digital Zoom Built-in 1GB Memory Expandable SD Memory. MOQ: 100 Accessories: Pouch, Wall Charger, USB Cable, Rechargeable Battery, Software CD and Manual. Materials & Finish: ABS Plastic and Aluminum. Thanks for the great customer service and timely delivery! W ..